Can you Box up a Blessing? The answer is simple and profound. 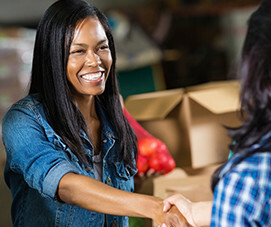 When God works in and through His people for His glory, His blessings are multiplied exponentially for all who are touched by Him—not only the recipients of the boxes but also everyone who has volunteered. Our goal is to transform communities through the the love of Christ, by providing food and comfort to families in need. 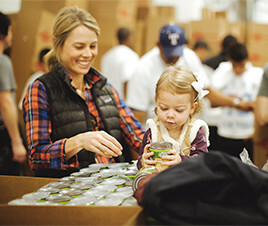 Boxes of Blessing partners with volunteers, local ministries, and local churches to provide food for thousands of families in need throughout the greater Dallas area. Our team networks with food industry partners to build up a warehouse full of baking mixes, non-perishables, and essential ingredients. At our annual Boxes of Blessing event, thousands of boxes are packed by an army of volunteers at the BCW Food Products warehouse. Teaming with local ministry and non-profits throughout Dallas, Boxes of Blessing then distributes the boxes to those in need of a blessing. Our work happens through the thousands of volunteers that join us each year, lending their support to our cause. We rely on our supporters to help us make a difference in our city. Every dollar raised fully goes towards food for the needy. 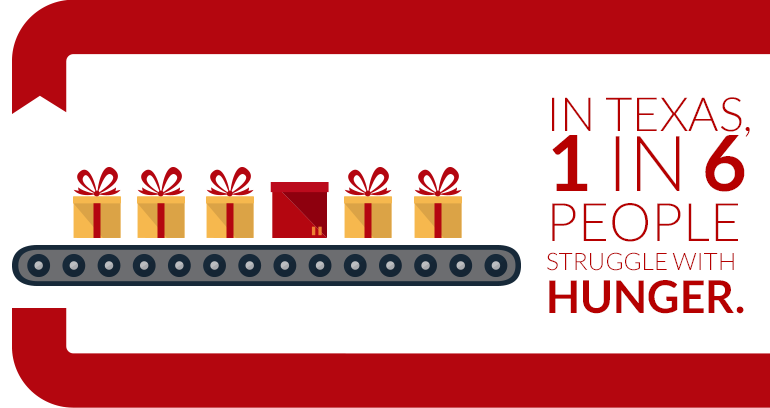 HELP US REACH OUR GOAL OF 10,000 BOXES IN 2019! Help us extend the love of Jesus Christ by providing food to those in need. We would love to tell you more about our vision to transform the community. Snacks of Blessing is a quarterly project that blesses Dallas families by providing snack bags for children. Complete the form below to volunteer. We appreciate your donations. Know that every dollar donated is put directly towards food for the needy. We are actively seeking organizations to partner with. Please fill out the form below and we will contact you. Our refrigerator and pantry were basically empty as we were unable to leave home… Thank you so much, you certainly blessed our lives! As we continue to do this work, we pray that we would find great joy in knowing that we are extending the name of Christ into this city. This box helped me a great deal. It allowed me to have something to eat during the holidays. It showed me that there are some people who really care for others. ©2019 Boxes of Blessing. All Rights Reserved.